Folan Family Dental has been providing the Dorchester area with quality dental care since 1981. We continue to see many of our original patients and now see their children, grandchildren, friends, neighbors and co-workers. Most of our new patients are referrals from our current patients and we appreciate the trust they have in our office. Dr. Michael Folan and our Team enjoy getting to know each of our patients and building long-term relationships with them. Our philosophy is that we treat all patients the way we wish to be treated: with honestly, respect and compassion. We know there are many dental office choices in our vicinity and believe patients should choose a practice where they are most comfortable and know they are in trusted hands. We invite you to stop by our office anytime during opening hours, tour our facilities and meet our staff. We look forward to meeting and getting to know you! Our office features five treatment rooms, a comfortable reception area, a children’s play area and all the latest equipment and technologies. 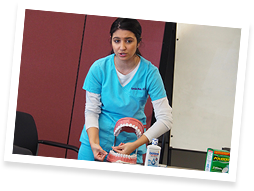 Our office believes strongly in dental health education and partners with local agencies to support the importance of maintaining optimal oral health. 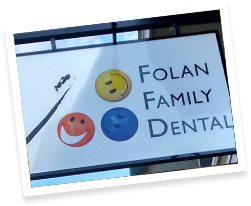 We are happy to announce that Folan Family Dental has re-opened! * We are now located at 540 Gallivan Blvd, Dorchester, just a few steps from our previous office. We couldn’t be happier to remain in the Adam’s Village neighborhood! We used the same architect and construction company as our previous office and are thrilled with how the new office came out. The current office is slightly larger than our previous practice with five treatment rooms, the latest equipment and technology, a comfortable reception area and for our young patients: a children’s play area. All the photographs were saved and are now hung up. We have added to our seasonal decorations and believe the office has a “homey” feel to it. FFD now has on-site parking for patients during their appointments. Our practice is located on the second floor, and the building has an elevator. When you come for an appointment, you will notice many of our staff members have remained with us. We are also excited to have a few wonderful additions to our personnel. To schedule an appointment, you can call FFD at (617) 265-8393 or send us an e-mail to FolanFamilyDental@gmail.com. Alternatively, patients are welcome to stop by our office, see the practice and book an appointment in person. We look forward to seeing each and every one of you and “catching up”. *FFD built the new office after a fire in September, 2017 that destroyed our previous practice.